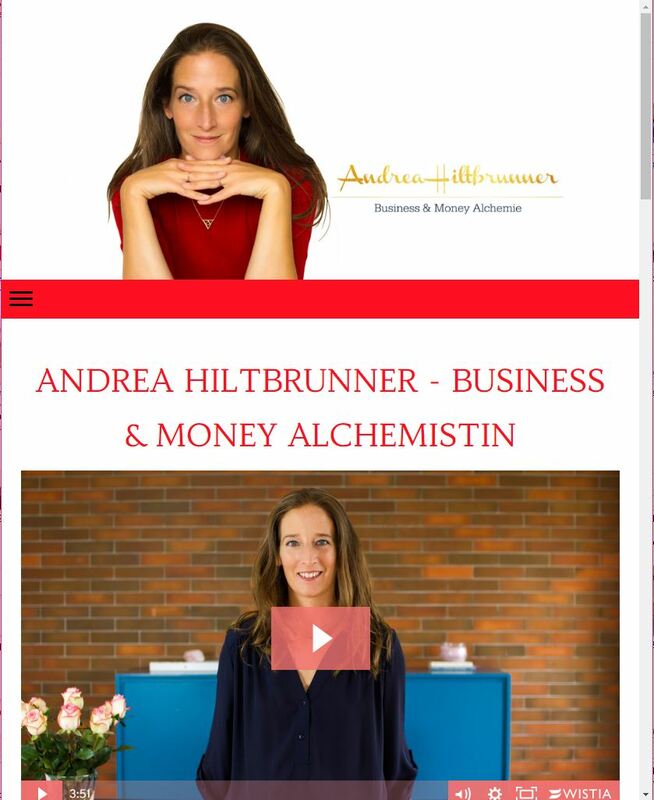 I was initially contacted by Swiss Business & Money Coach Andrea Hiltbrunner in August 2016. Her business had grown exponentially very quickly and it was overdue a visual presence revamp. 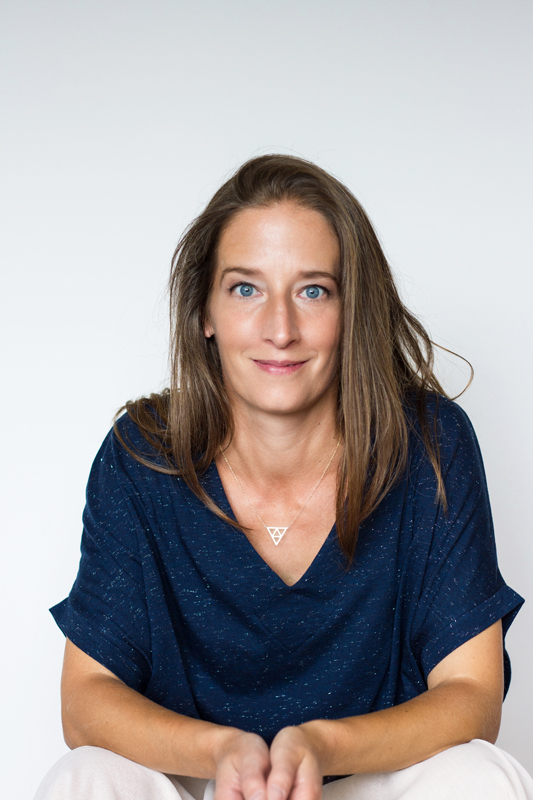 Andrea needed a wide range of photos to suit the needs of her quickly evolving business: new portraits that could show her as the succesful professional that she is, a series of versatile lifestyle images that she could use on social media, photos of the venue where she’d hold an event in May 2017, and photos of all her products. She also needed a professional brand video, that she could use to promote her business both on her website and on social media. Andrea’s special gift is her wide business know-how, coupled with a high intuition and a spiritual approach to entrepreneurship. 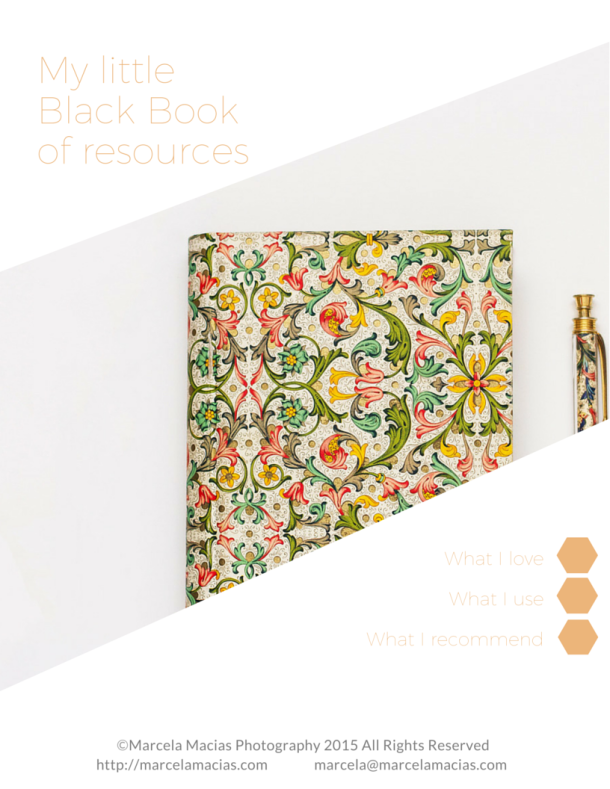 This allows her to help her clients hollistically and magnify their results. Her photos needed to portray these two sides, because her brilliance comes out with the combination of both skills. 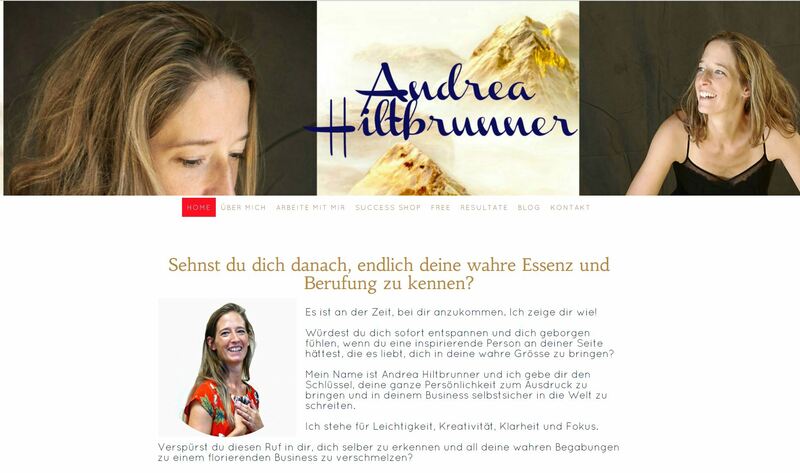 Andrea also needed to give her vast product line a recognizable and branded style that looked cohesive with her message and supported her positioning as a European leader in business and money coaching. The first step was defining a cohesive style for all her photos. A look and feel that could transpire from every image, and that was recognizable and easily identifiable as hers. 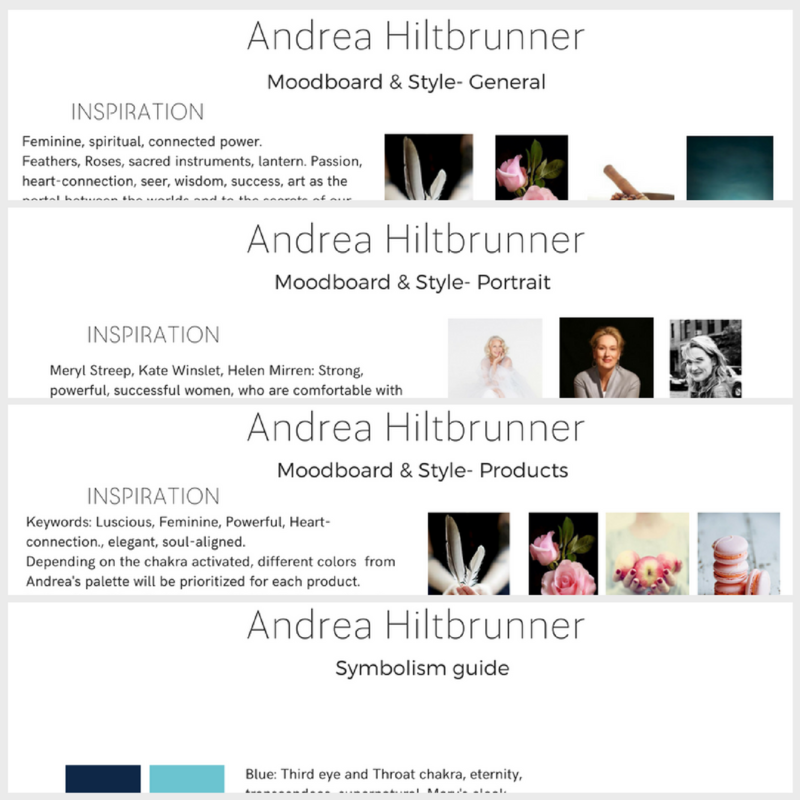 We chose her branding colors, their meaning and related and archetypal symbology as the guiding stars for all of Andrea’s branding and product photos. Based on them, we defined a shot list, purchased props for the product photos and planned my trip to Thun, Switzerland, to shoot Andrea’s portraits and footage for her video. We photographed Andrea’s digital products in my studio in Nicosia, Cyprus. We had all her printables professionally printed and designed a variety of desktop and flat lay scenes to fit the mood of each product. 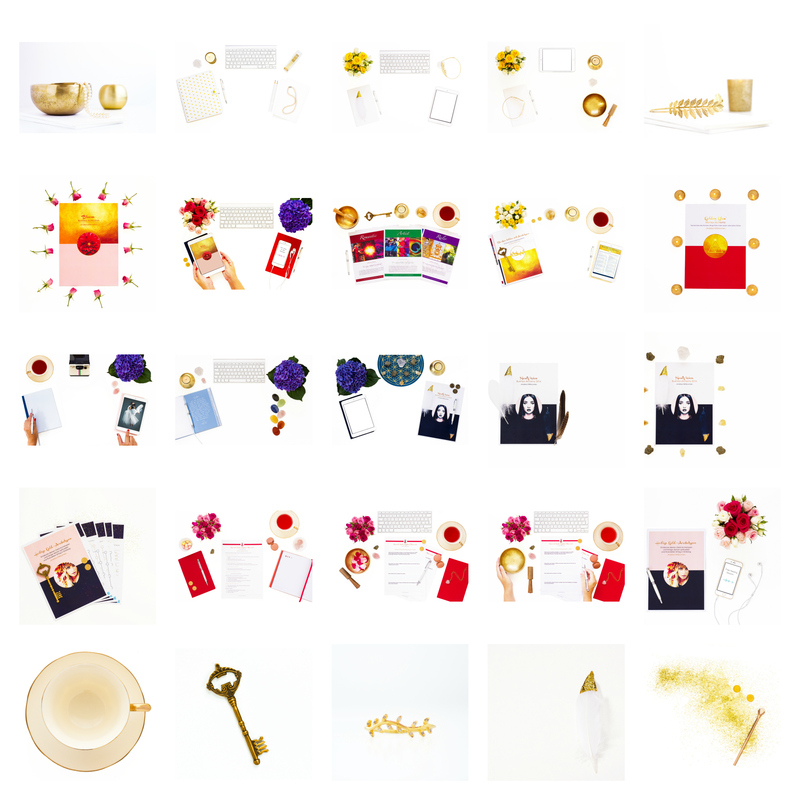 We selected all props based on their archetypal symbolism and kept styling elements constant and in line with Andrea’s branding and color palette (composed of gold, blues and reds in different shades). 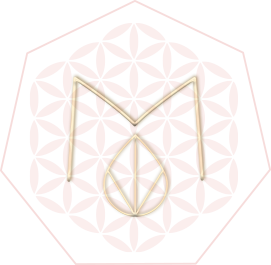 The props selected for each product in particular varied according to the chakra that each helps activate, and the audience they’re destined to. All photographs were designed to make crops possible, to maximize their usability and versatility. We also used a variety of electronic devices where Andrea and her graphic designer could later overlay either printable products or website snapshots. We shot Andrea’s portraits and lifestyle photos in Thun, her home town in the Swiss Alps during a weekend in October 2016. We divided the shots in three sets: location shots, which we took walking around town during a full day, with brief stops for Andrea to change her outfit; office shots (to show her work environment); and versatile studio style shots (taken at Andrea’s home), which she could use in graphics, book covers and magazine features. We wanted all of Andrea’s portraits and lifestyle shots to capture her essence and her energy: playful, joyful, relaxed, professional, spiritual and highly smart. We selected poses that helped convey these ideas and made sure all clothes were in Andrea’s brand colors. Hair and makeup were simple, elegant and understated because we wanted Andrea to look like herself, and be recognizable when on skype calls and events with her clients. In some photos we used a few carefully selected props (lanterns, sparklers, feathers) to help convey the idea of Andrea as a leader, illuminating the way for new generations. Andrea’s portraits were also complemented by a series of hand shots and close ups, designed to match her product line, website needs and overall 2017 launch plans. 4 of Andrea’s portraits appeared in SinnReich’s Magazine December feature edition. We created Andrea’s brand promotional video in Thun, using a combination of custom b-roll and lifestyle shots, captured during our walks around town, and interview footage, captured in Andrea’s office. In order to shoot the footage of Andrea speaking directly to the camera, we created a mini studio in her home-office, taking the time to decorate it and set up camera and lights as if we were in Nicosia. We then went through a series of story-telling questions, which were later stringed together by the wonderful Emmy Wu in post production. Andrea’s package included three videos: 1 full brand promo video, with custom footage, motion graphics and premium soundtrack, one 60 second version of such video, for Facebook Ads, and a custom video intro (which uses some of Andrea’s portraits, custom footage and motion graphics), which she can now add to all her blog and course videos, to enhance brand recognition. A renewed, completely upleveled visual image.